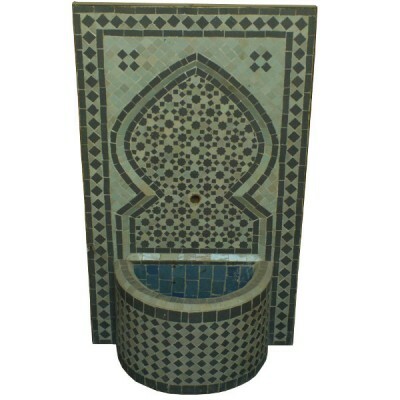 Moroccan Zellij Fountain of Marrakesh Hand-made with clay from Setti Fadma, in the Ourika Valley. Zellij Fountain comes with a water pump using a closed system. 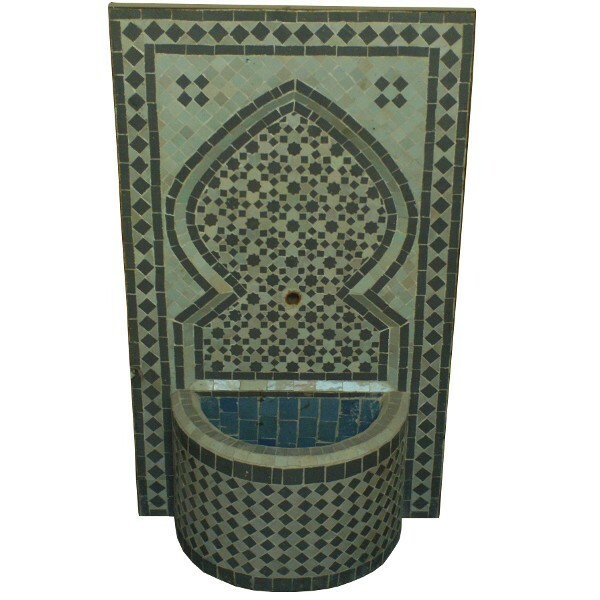 So, Enjoy the water sound from your Moroccan fountain in your patio.